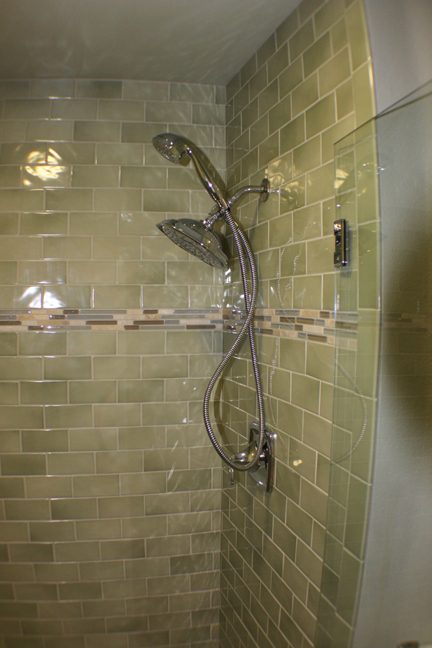 These photos are from a recently completed bathroom we remodeled. 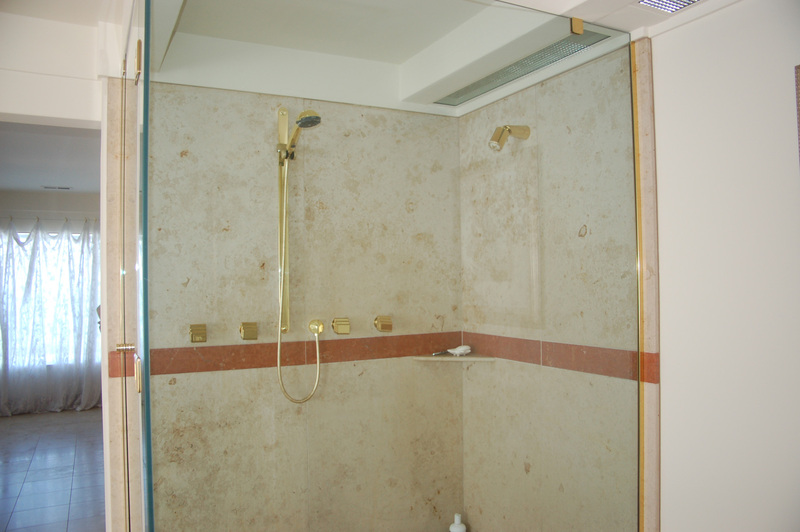 I love this shower! We all spend more time than we like to admit in the bathroom. No, I don’t mean using the porcelain spring, I mean the tub or the shower. 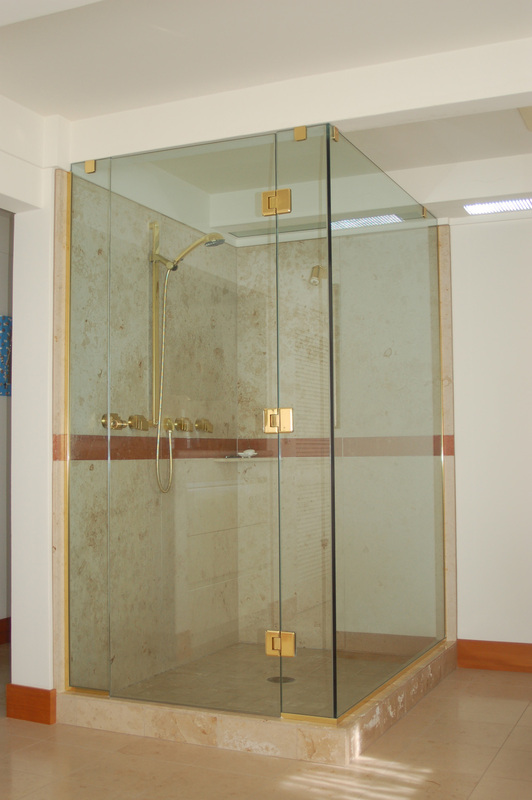 After all, what feels better than a shower spraying hot water from a high quality shower fixture? Add to that the luxury of well laid-out tile in your favorite colors. Almost makes getting up in the morning worth it. Maybe it’s time to redo that master bath!